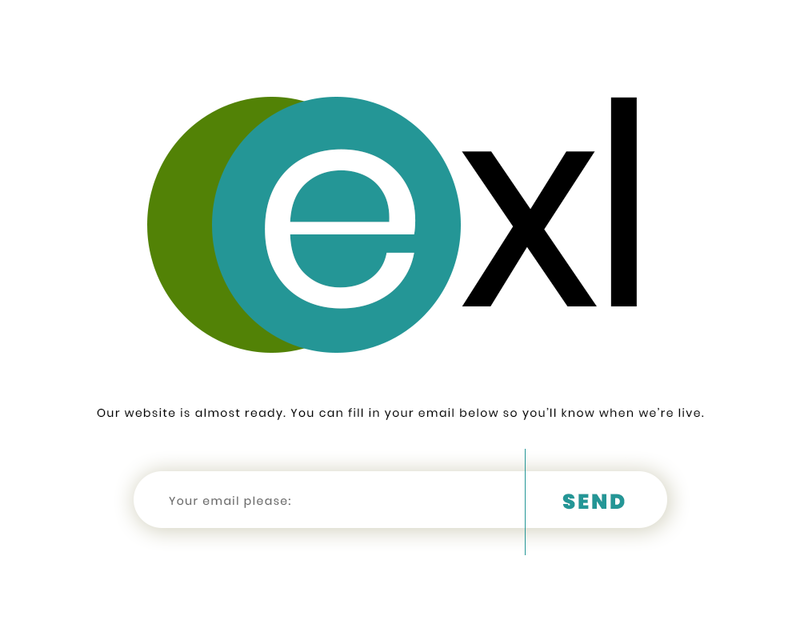 Corporate Website Design for the “exl” brand – An inspiring look for an excellent brand. Many love the ordinary website design but we prefer the extra lengths that make websites exceptional. That is why many have chosen us and you should as well. Your business needs to look great online and that is why we are here actually. It is just not bride, whenever you choose to go for nothing less than excellence on your website! Looking excellent online is actually essential for your brand or organization because good user perception is needful for your business success online. At DientWeb, we build excellent, functional and lovable websites that help businesses stay attractive online. Essentially, the goal for us is to make your business attractive enough to convert leads into customers. 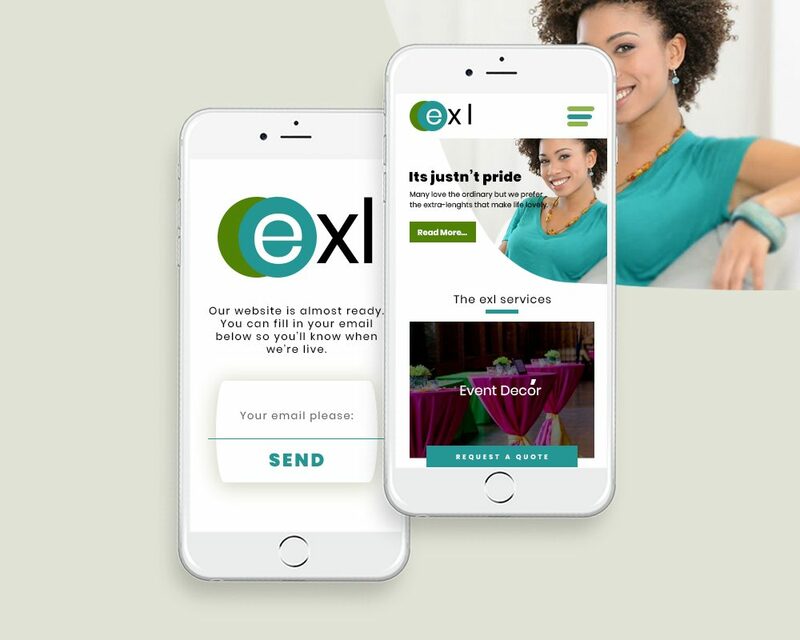 The “exl” brand believes in excellence and that is what you will see reflected on her website design. Need a website that align with you brand and corporate goals? Contact us here. Let the whole world know about what you do and allow them contact you with ease. DientWeb has a team of some of the best web designers in Lagos Nigeria who are always ready to work with you. Beyond developing your website, you can also count on us for Technical Support and Online marketing needs. Contact Us here or check out our Website Development Packages here to get started. All Rights Reserved. 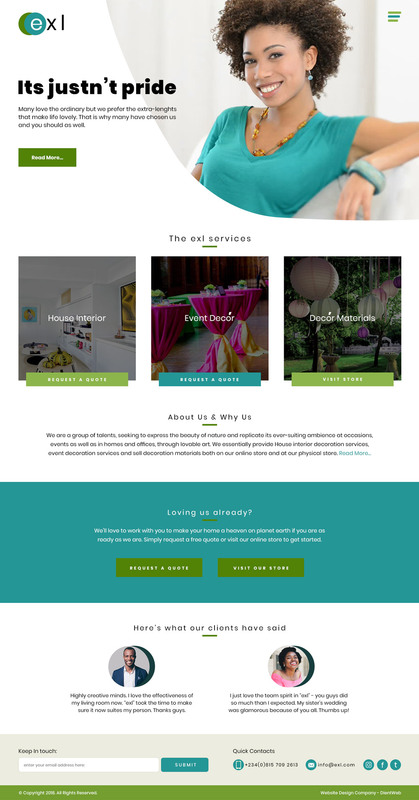 © Dient Web | Lagos Web Design Company of First Choice, Nigeria.